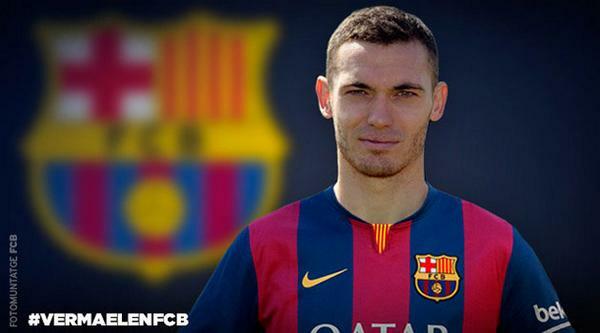 Thomas Vermaelen sealed his move to Barcelona on Saturday afternoon after the Catalans agreed a deal with Arsenal for his signature. The 28-year-old was expected to leave this summer after losing his place in Arsene Wenger’s starting eleven 18 months ago, and although the boss wanted to keep hold of him, as he had just one year remaining on his contract we’ve been forced to cash-in rather than risk losing him for nothing in 12 months time. Barcelona confirmed his signing earlier on Saturday with Vermaelen due to officially sign a long-term contract in front of the media at the Nou Camp on Sunday afternoon. As the Belgian has been at the club for five years, it’s safe to say he’s formed some close friendships in the dressing room and unsurprisingly a number of players have taken to Twitter to say their goodbyes. Mesut Ozil, Aaron Ramsey, Jack Wilshere, Kieran Gibbs and Lukas Podolski have all reacted to Vermaelen’s exit with the boys all wishing their former skipper good luck at Barcelona. The Belgian international needed a fresh start and we got good money for him, but the important thing is that Wenger now goes out and signs a suitable replacement. We’ll have to see what he brings us. Nice to be able to wish an ex Arsenal player the best of luck and thank him for the service he gave to Arsenal. Once an Arsenal player always a revered ex player except for these who run for money. Vermaelen will be one of these ex Arsenal players always welcome back and remembered by the fans.